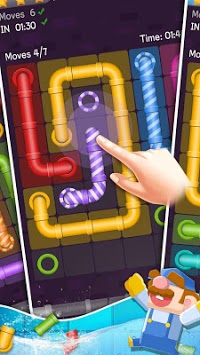 “PIPE LINES PUZZLE” merged best games into ONE game collection, like CONNECT, PUZZLE, PLUMBER, which are easy and amazing to play. As a pipe lines lover, you don't need spending much time on searching new brain teasers any more. We will give you a ONE-STOP game experience from now on! - Connect dots with same color! - Fill all the space! - Be careful! The pipes can be cut off by other pipe! - Slide the blocks to to create an optimal path for water to flow to the finish line! - Aim to reach for the perfect 3-star rating on each level to set a new record! - Easy to learn but hard to master. - Plumb the pipelines by adjusting the direction of the pipes! 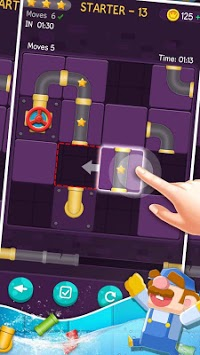 - Use different strategies to link all the pipes. - Try to link more pipes to get Higher record. - Daily Reward for you! - Easy but Funny game play.Hints will help you. - Practice makes perfect.Train you brain to active mind. - Thousands of stages!Tons of levels!More game modes. - Play offline: Enjoy this game without WiFi. 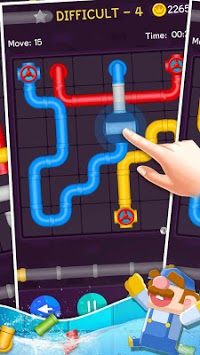 We make a new PIPE LINES PUZZLE GAMES collection!